You have tasted our cocktails, now let us teach you how to make them! 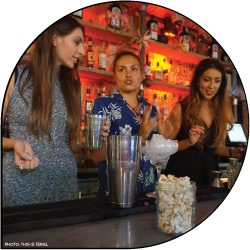 Regardless of the occasion, cocktail masterclasses are the perfect day out for you and your friends. Get your creative side out and learn new crafts and techniques in cocktail making. Next time you are hosting a dinner party at yours, you can WOW your guests with spectacular yet deliciously prepared cocktails. 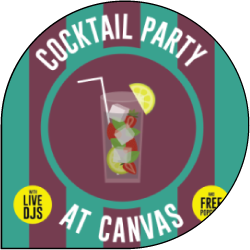 At Canvas Bar we have our expert mixologists on board to teach the art of cocktails making. Masterclasses are available Monday – Sunday at selected times and classes must be pre booked. Click here to book or make an enquiry. Kicking off from 7pm with our resident DJs, Canvas Bar’s focus of mouthwatering cocktails and shape-cutting worthy tracks makes this Old Street venue the only Shoreditch destination worth knowing. Our cocktail parties kick off with offers on cocktail drinks, live entertainment and so much more. Holding down the decks with a mix of House, Nu Disco and R’n’B golden oldies our resident DJ’s uphold Canvas’ passion for partying. Please make sure you reserve a table, we can’t guarantee there will be space to park your coats, cocktails or companions once the party starts.